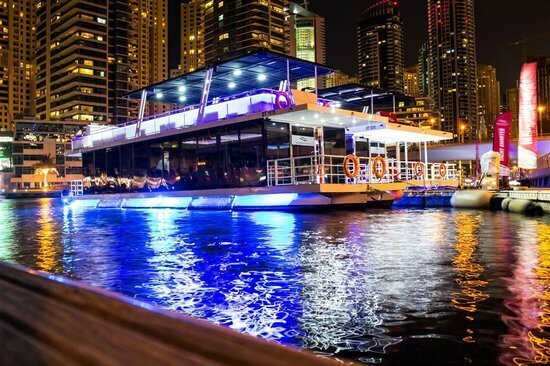 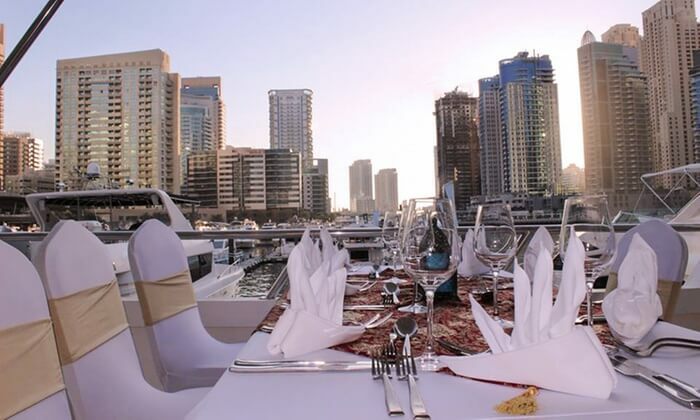 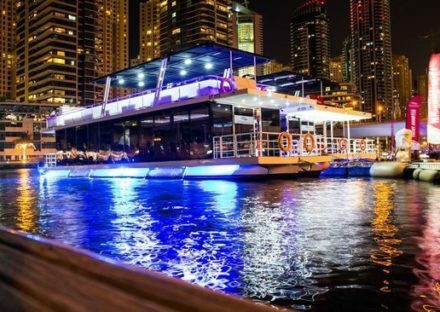 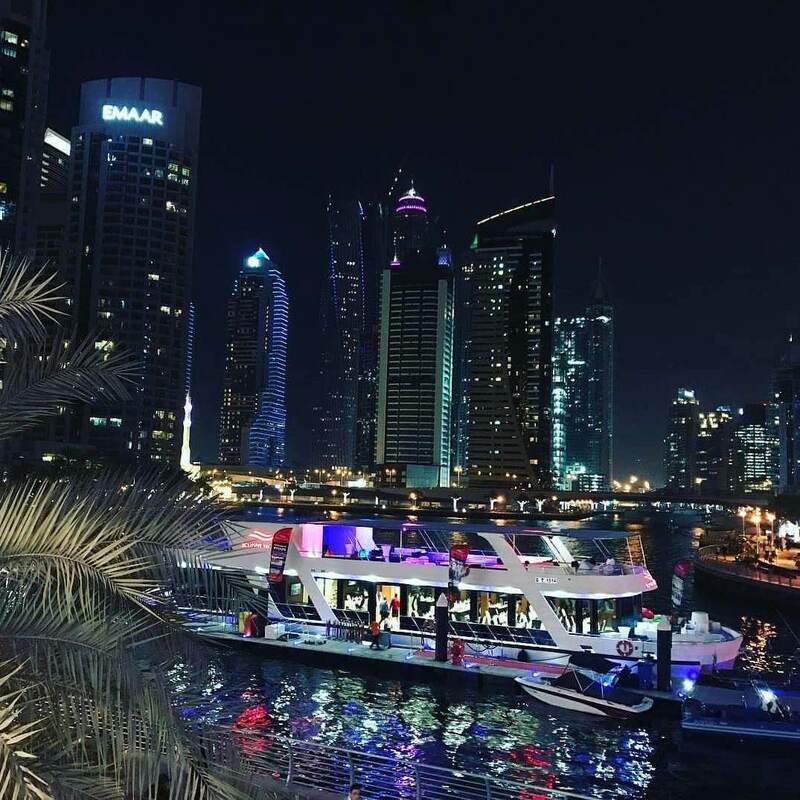 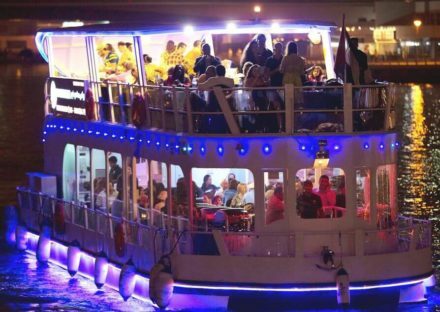 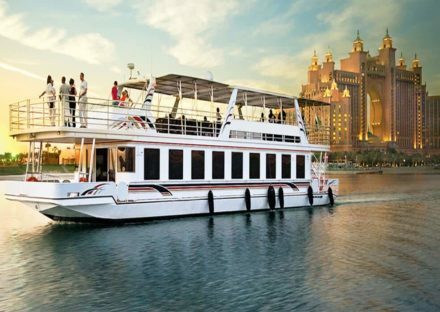 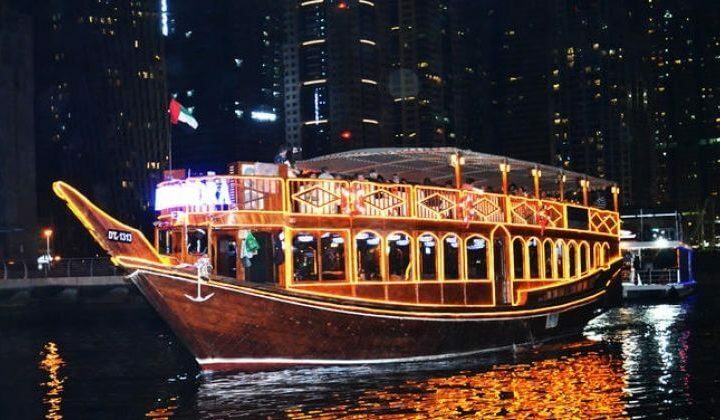 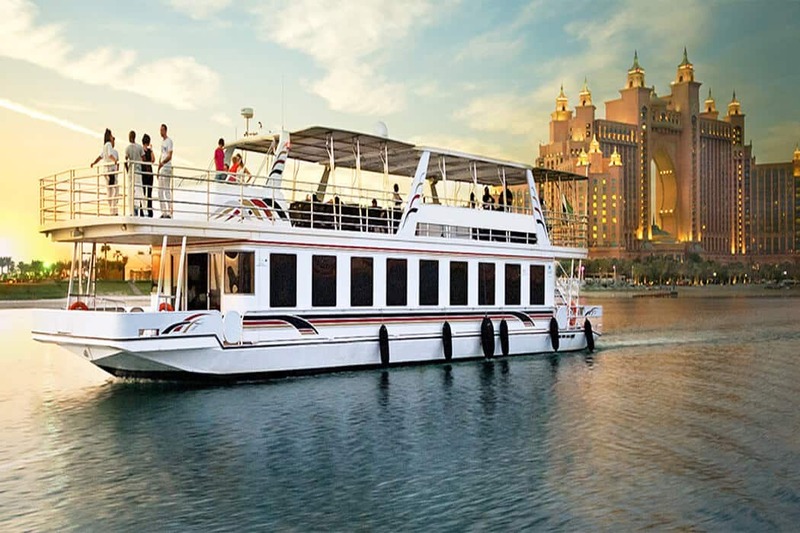 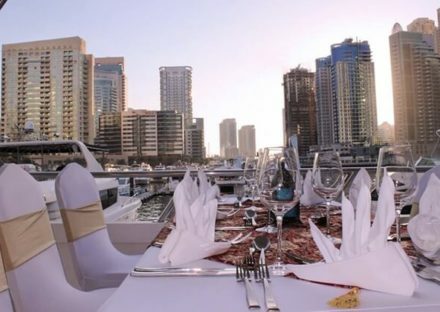 The brand new way to explore and enjoy your dinner at Dubai Marina on a ‘Glass Boat’.Our glass boat at Dubai Marina is one of its kinds and is proffered by both tourists and residents to tour around. 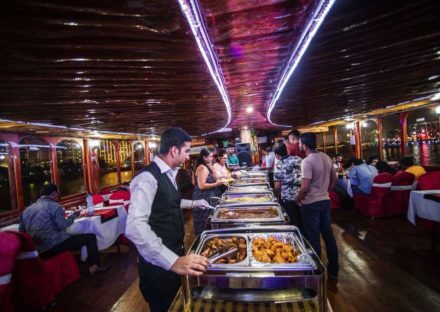 A heavenly buffet dinner is served on the cruise which includes soup of the day, healthy salads, veg and non-veg. 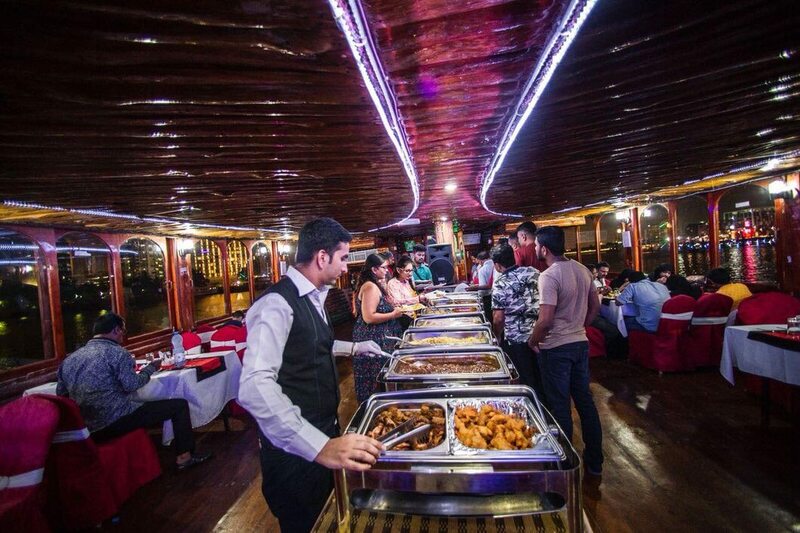 starters, assortment of main course dishes, variety of breads and finally some delicious sweets. 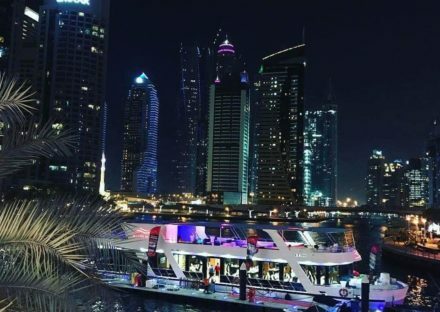 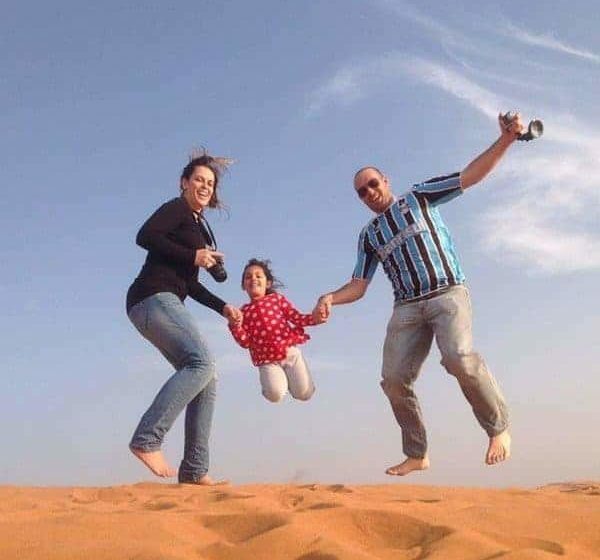 There is alot to see around the Dubai Marina like the Atlantis Hotel, Burj Al Arab, Burj Khalifa, Dubai Marina Mall, tallest twisted tower, Marina Promenade, Dubai Marina Yacht Club, and other remarkable buildings and landmarks.